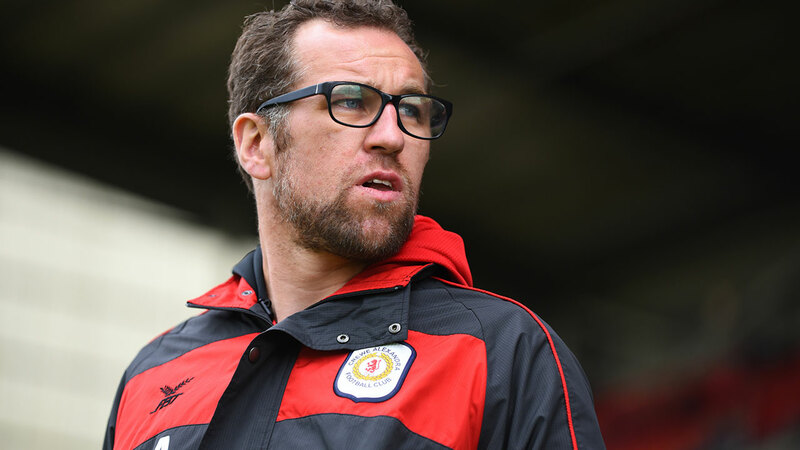 David Artell might fancy Crewe's chances on Friday night, but Ian Lamont is of a different opinion as he previews this weekend's League Two action. "It's unusual for a chairman, Swindon's Lee Power, to be so forthcoming that they have one of the league's biggest budgets. There's no questioning the ambition, but Swindon can't offer strong assurances that it will get into even the play-offs at the end of the season." It's funny how Crewe seem to have ignored their fabulous home record and lost twice at Gresty Road in successive weeks. So what chance of them building on a less than solid away one? After four straight wins, defeat to Port Vale finally gave Newcastle loanee Jamie Sterry the chance to feature, but in another defeat to Northampton. He understood that he had to be patient to get into a winning team. But if the Railwaymen are going to get into the play-offs - their ambition seems unlikely to me, being eight points off seventh with 11 games to go and a 20-goal swing potentially needed - they will have to do a lot more than execute whatever plans Dave Artell is laying out to stop James Norwood from scoring. Artell says he has some plans to negate the threat of League Two's top scorer, who has scored five goals in his last six appearances for Tranmere and 23 in the division in total this season. 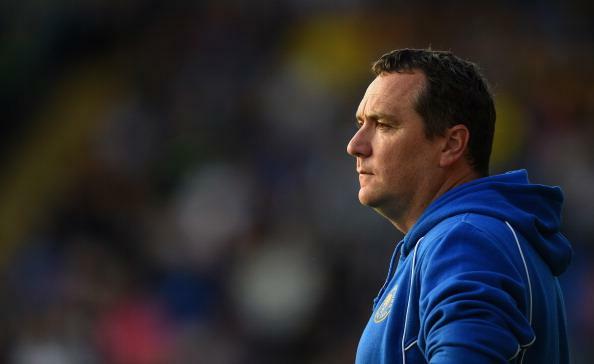 The Crewe manager says the hosts will fancy their chances - but so do his side. He realises Rovers, in the shadow of Liverpool and Everton, have pushed for a Friday night kick off for a reason: they get more fans attending and by earlier this week had already pre-sold 5,000 tickets. They expect to go over 6,000. Artell believes his side play better in front of big crowds. With a trip to Cambridge looming on Tuesday, they leapt at the chance to switch the match. Perhaps the visitors fancy their chances because, before those two recent defeats, they had taken four wins and three draws in an unbeaten seven that included draws at Oldham and Macclesfield and also a victory at Milton Keynes. Perhaps the reason Tranmere's price seems larger than it ought to be for their strong record of 10 wins and four draws at Prenton Park is their recent wobble followed by narrow wins. In an unbeaten run of five, the only goal they have conceded proved a consolation for Port Vale, but they have scored low - a goalless draw at Cambridge breaking up one or two nil wins. Micky Mellon's side will be desperate to hang on to what they have got - sixth place - so it will be interesting to see what affect Artell's seminar with Pep Guardiola this week, courtesy of the League Managers' Association, will reap. Surely Mellon will be there, too? Artell described him as one of the game's best managers. But a colleague of mine recently questioned that, asking how well would he do with Fulham right now? Or indeed could he get Crewe into the top seven? Isn't Guardiola just in charge of the best players? Food for thought. Mellon believes the 10 clean sheets at home have been key to the Whites success - as have the fans. Time for them to prove it, against a team who Opta emphasise haven't lost four away and last had a better record in April 2014. I'm not expecting fireworks - or a huge number of goals - from this match, but I am expecting Grimsby to put up a better fight than they seem to have done at home last weekend to Cambridge, who couldn't hit a barn door away from home until beating the Mariners. If Michael Jolley had taken anything from learning his trade as a coach at some top clubs, he will be able to put setbacks behind him. Indeed, he didn't let Grimsby grumbling around the nether regions of the division bother him last season. He just dug in. The apprenticeship is over now and while it might be a stretch to think they can reach the play-offs this season they will give it a go, especially if they can find the form that gave them 13 points from the previous five games before last weekend's defeat. It could have been an off day. Harry Clifton (Wales) has been called up by his country this week - reward for Jolley's efforts in developing him. Ludvig Öhman could return after suspension while midfielders John Welsh and Martyn Woolford failed to make the midweek reserve team match and could be rested for Tuesday. Much depends on Wes Thomas's ability to add to his 10 goals, while for Crawley could yet be dragged into the relegation zone if their from continues as it is. They have not scored in three of their past four matches and only seem to score one goal a game, if that. In their last nine matches they have scored once five times and failed to score four times. Matters therefore don't bode well for the Red Devils, whom Opta emphasise have won just three of their last 10 at the Broadfield. While Gabriele Cioffi will do his best to cajole a goal out of Dominic Poleon and former Mariners loanee Ollie Palmer, the layers might have this right to price both sides similarly, indicating a decent chance of a draw. Now here's an enigma. Swindon apparently have one of the best budgets in League Two, insists owner Lee Power, who says he has put £6m into a club that has just bought its own ground for £2 in order to push on on a more financial footing. He's also recently invested in a chief scout and director of football. There's no questioning the ambition, but it's pretty unusual for a chairman to be so forthcoming, especially when the team is not top of the table and can't offer strong assurances that it will get into even the play-offs at the end of the season. Plus, Richie Wellens is the second manager of the season and the latest in a long line of recent appointments in the past five years at the County Ground. So basically money couldn't help Phil Brown, whose managerial prowess got Hull City into the Premier League, build a promotion-winning team. But could he have steered Manchester City to the Premier League title? Let's add that into the mix for the best manager debate. The Robins are in touch with the play-off picture, in the chasing pack four points behind seventh, but there fact their goals for and against record reaps a big fat zero says something to me. Contract talks with keeper Lawrence Vigouroux's new contract presumably wouldn't be so tricky if it looked like the Robins would be in a higher division next season. Canice Carroll, who scored against Colchester recently, says the team are not feeling any pressure as they bid to reach the play-offs, while that is their intended aim. Wellens would like to see long-term attendances rise to 8,000, from 6,000, and there seems at least to be a feel-good factor at the County Ground at present, with five wins and two draws in eight. They have won their last three away, drawing two on their travels before that, all since Boxing Day. All of which is form not to be sniffed at. They are almost top of the six-game form table, Michael Doughty's penalties having something to do with it, while Carlisle have slipped off the form radar. Their last win was six games ago, since when they have at least scored in all but their last game, at Newport. Steven Pressley is pleased that "key player" Jamie Devitt returns after a three-match ban and Danny Grainger says it is important to re-establish their play-off credentials by getting back to winning ways quickly. But even if Hallam Hope can add to his 10 goals this season it looks a tall order to beat the visitors. So it's a case of do we take the draw or the away win? The price on Swindon - who would equal their hosts' points tally with victory - is hard to ignore, as they chase a fourth consecutive win away for the first time since February 2012, say Opta. After Cambridge's stunning ability to overturn likely outcomes and win away last weekend - defeating a strong-at-home Grimsby but having not scored away in several away games - their odds on a home win, where they are fairly comfortable, seems somewhat large. Colin Calderwood is using that Scottish steal of his to good effect - as well as his contacts, having brought in Rushian Hepburn-Murphy from Aston Villa on loan to good effect. I think he's finding his best as an impact substitute. The youngster scored his first goal, having replaced David Amoo, in their 2-0 win against the Mariners. Before drawing with Tranmere last time at the Abbey, the U's had won three on the trot there, against Port Vale, Northampton and Stevenage. Oldham are surely in similar vein, slipping from their pedestal before they sacked Frankie Bunn and having not won in four games as Paul Scholes makes his changes. They have at least scored in their past eight games, bashing Yeovil for four and Crawley for three. But since then it's one goal per game. Jose Baxter has scored three goals in five games. Opta point out that he has been directly involved in half of the eight goals in Scholes' time. Callum Lang has also netted three, while the Latics have suffered from conceding late goals. It's likely that Cambridge will nudge a bit further up the table away from the relegation zone.